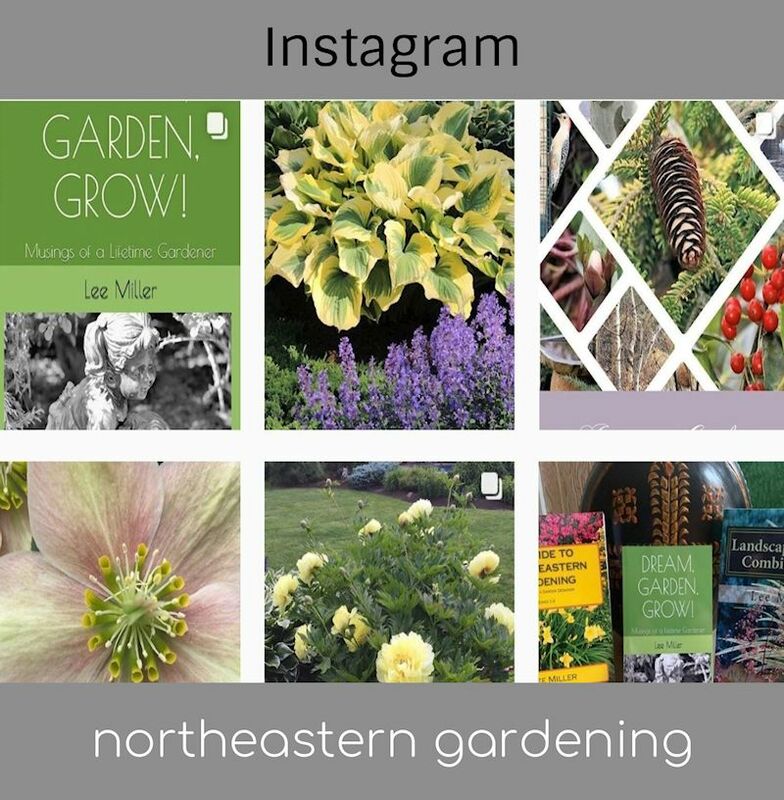 As I was walking along my shade garden on this summer day I took extra notice at the wonderful array of hosta that have matured to become beautiful focal points over the years. Hosta are a hardy and reliable herbaceous perennial that never seem to fail in adding some desired brightness to a shady area. 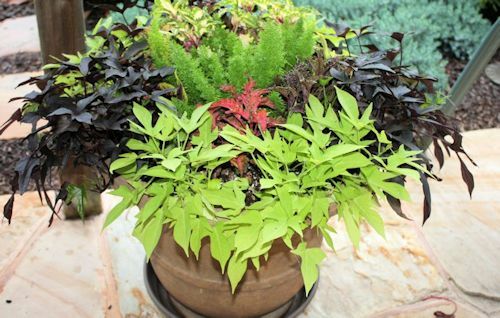 Grown for their beautiful foliage there are so many varieties to choose from. 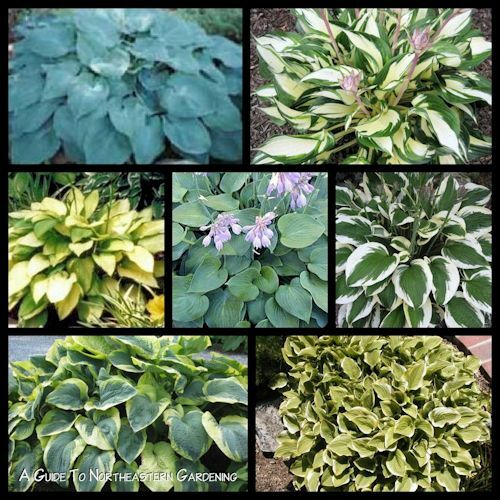 The magnificent foliage of hosta comes in a variety of sizes, colors and texture ranging from the giant green and cream crinkled leaves of 'Francee Williams' to the smaller more compact smoother variegated leaves of 'Golden Tiarra'. 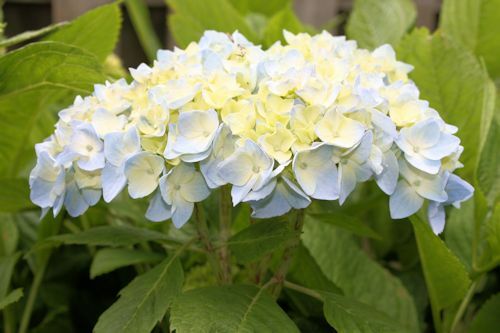 Colors range from green to golden to blue and white in a multitude of combinations of variegation with over 2,500 cultivars available. Hosta are extremely versatile and can be grown in a large range of areas including hardiness zones 2-10. 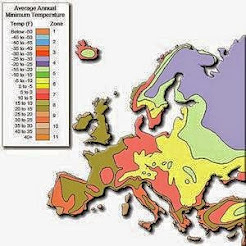 They prefer to be grown in full to partial shade in a well drained moist soil with a pH between 6.5 and 7.5. 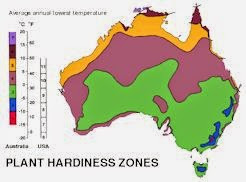 While hosta are shade tolerant they do not thrive in extremely dense shade and optimum conditions are an exposure with morning sun and out of the direct sun in afternoon. In general, the yellow and white leaf varieties will tend to tolerate more sun and the blue leaf varieties prefer more shady conditions. 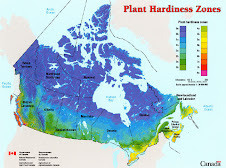 Hosta do prefer moisture so at least an inch of watering a week is recommended. 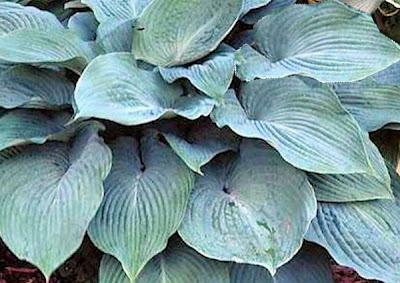 Hosta are not "deer resistant" or "rabbit resistant" and are actually a preferred snack for our four-legged friends. 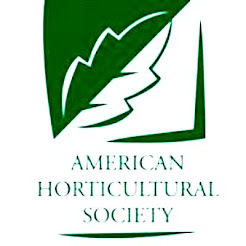 Astilbe, Liriope or Hakonechloa (Japanese Forest Grass) could serve as deer resistant alternatives among other selections. 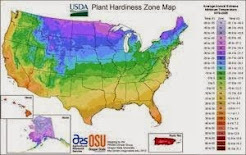 Maintenance of hosta is relatively simple. 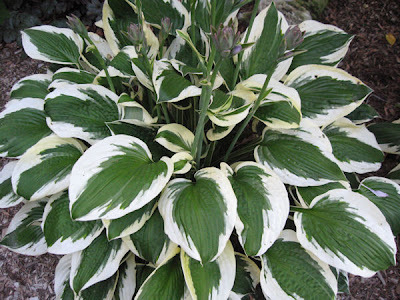 To propogate hosta divide in spring when new foliage is just emerging. With a sharp spade cleanly divide the plant into equal parts no smaller than at least three rhizomes (about 6" in diameter). 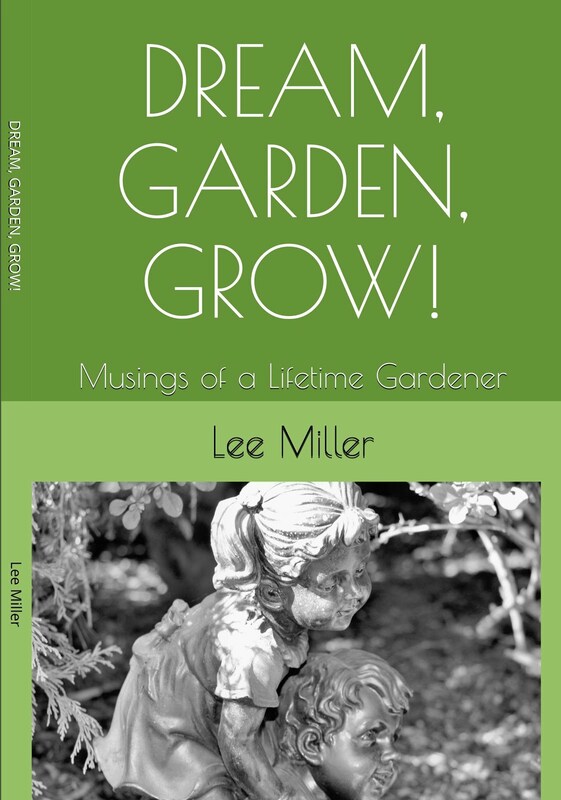 Dig a hole that is wider and deeper than the clump you are transplanting. 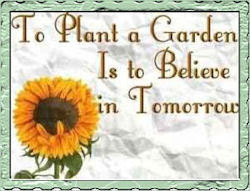 Plant and water throughly until your new plant is established and enjoy! 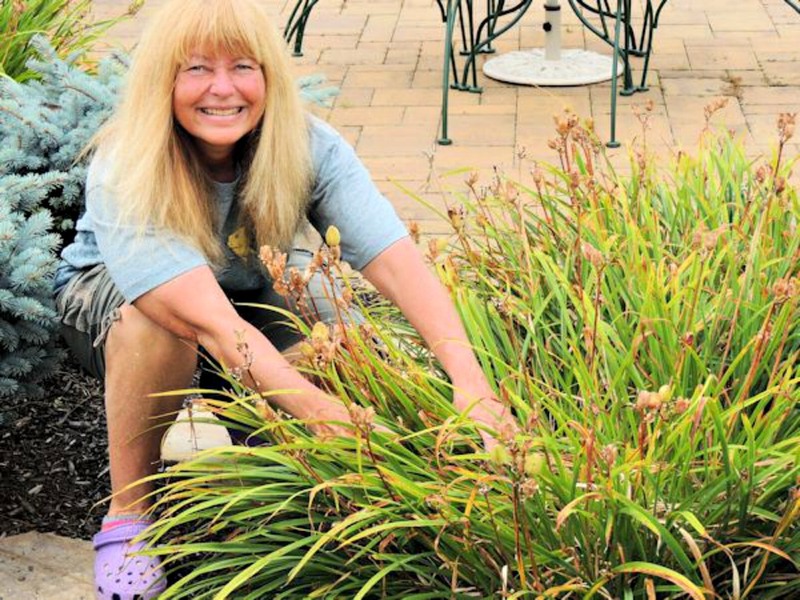 For winter maintenance remove all expired foliage to prevent fungal disease and keep a layer of mulch around the crown of the plant for protection. 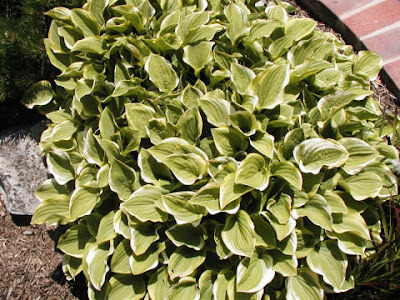 If you are looking to add a little color to a your shade garden then hosta could be the perennial for you. 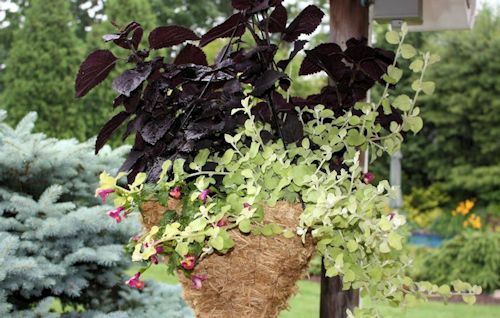 Add some companion plants such as astilbe, coral bells and ajuga and you can have a colorful and enjoyable garden that will give you years of enjoyment! 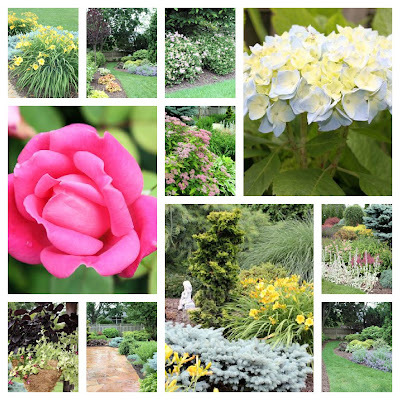 It's June in my zone 7 northeast Long Island garden and everything is now in full bloom. The Double Red Knock Out Roses are beautiful in full bloom against the purple-blue hue of nepeta 'Walkers Low' (above) and the spirea are also in all their glory with lots of color at this time of year. As you can see there is a new perfect patio planter for the June 2012 summer season and a new hanging planter that I could not pass up at the local nursery. I liked the unusual shape so I just had to have it! 'May Night' Salvia is in full bloom and already getting ready for its first dead heading so early in the season. The heuchera (Coral Bells) are bigger than ever due to the abundant rainfall. The gentle showers are at it again but the plants are loving it. Everything is looking so green! My new Hinoki 'Aurea' is doing well. Here is one of the new sections (below) that I just re-vamped this spring. 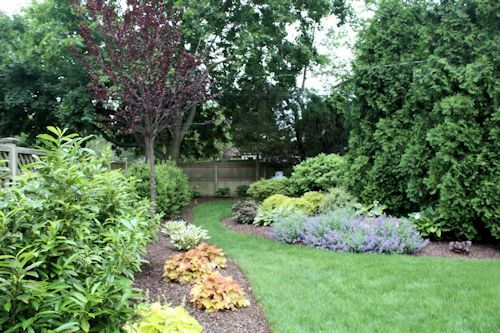 A huge Maple tree had come down opening up a new avenue for Spirea, Nepeta, Hosta and Heuchera. The garden is always changing and I am enjoying the new additions. Here is another view showing the new Thundercloud Plum Tree. 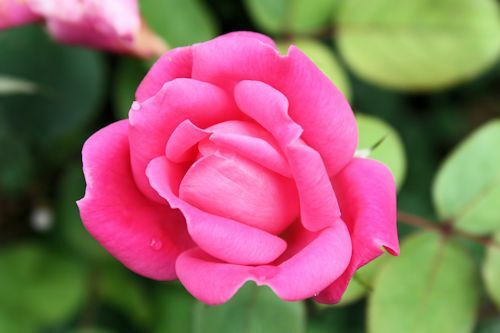 Knock Out Rose Double Pink...second season. 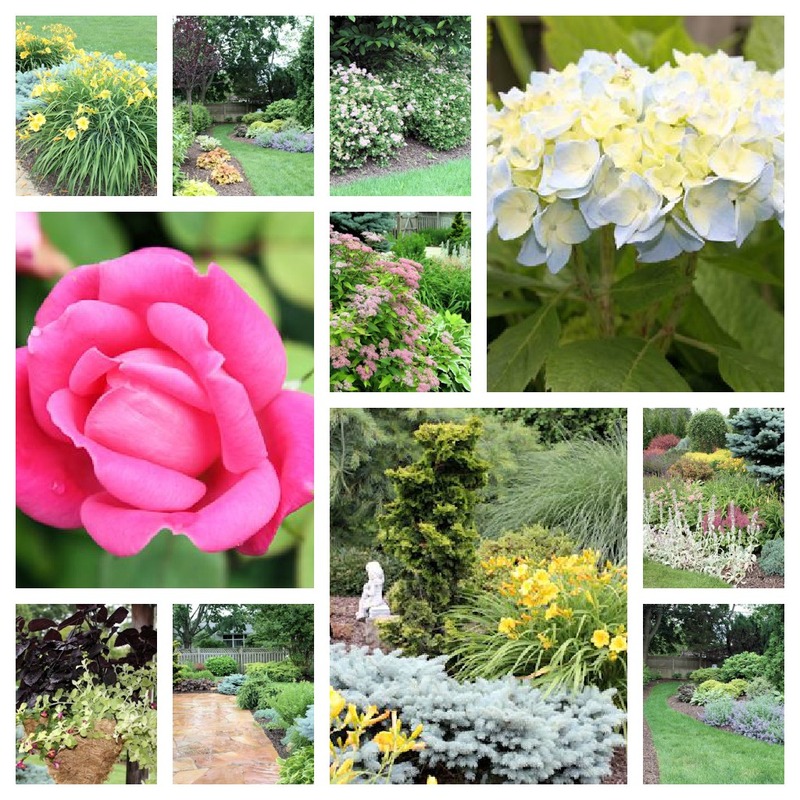 June is certainly a wonderful time of year for the Long Island garden. 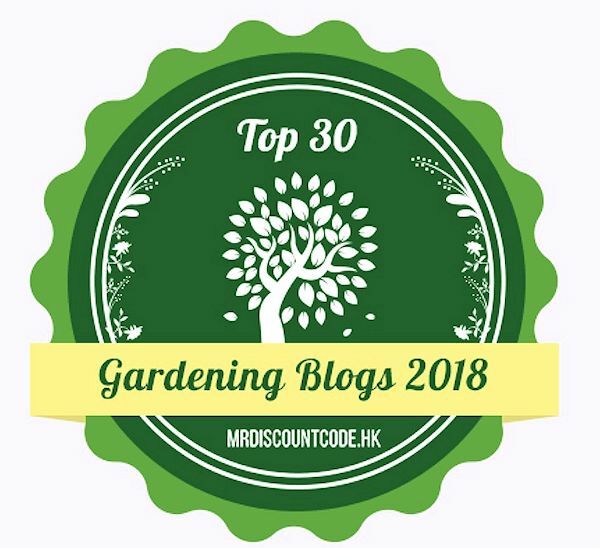 Thank you for visiting with me and be sure to visit Carol at May Dreams Gardens for more gardens from around the world in the month of June. There are over 70 varieties of Spirea making it a very versatile and desired flowering shrub in the landscape. 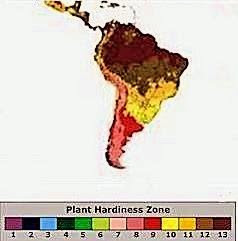 Species exist in a wide selection of sizes and bloom color. 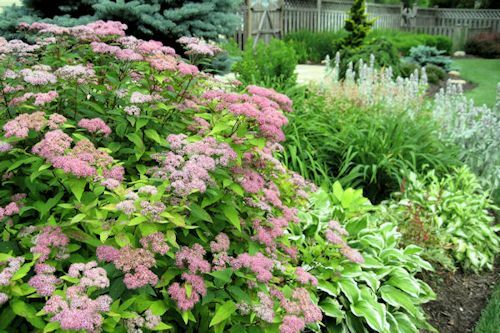 Spirea are considered small to medium sized deciduous shrubs that produce white, pink or crimson flowers in spring and throughout the summer months. Generally the bumald spirea (Spirea bumalda) and the japonica (Spirea japonica) are more small to medium sized ranging from 2 ' in height such as the shade tolerant 'Little Princess' Spirea and 2-3' in height including the 'Limemound', 'Goldmound' and 'Goldflame' varieties. Spirea 'Anthony Waterer' grows to 3-4', Spirea nipponica 'Snowmound' grows 3-5 ' and Vanhoutte spirea ('Spirea vanhouttei'), Bridal Wreath Spirea grows up to 10' tall and 20' wide. 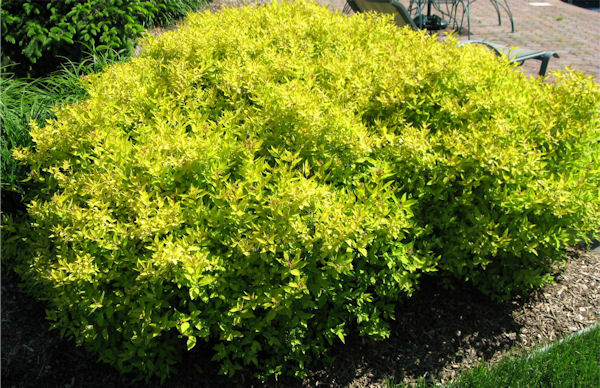 Spirea prefer to be grown in full sun to partial shade depending on the variety and are hardy to USDA zone 3 with the exception of 'Anthony Waterer' which is hardy to USDA zone 4. 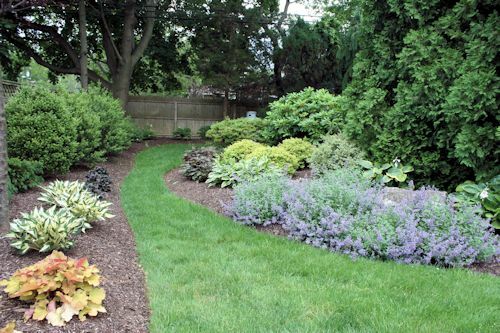 Spirea prefer a slightly moist but well-drained acidic soil and are drought tolerant once established. 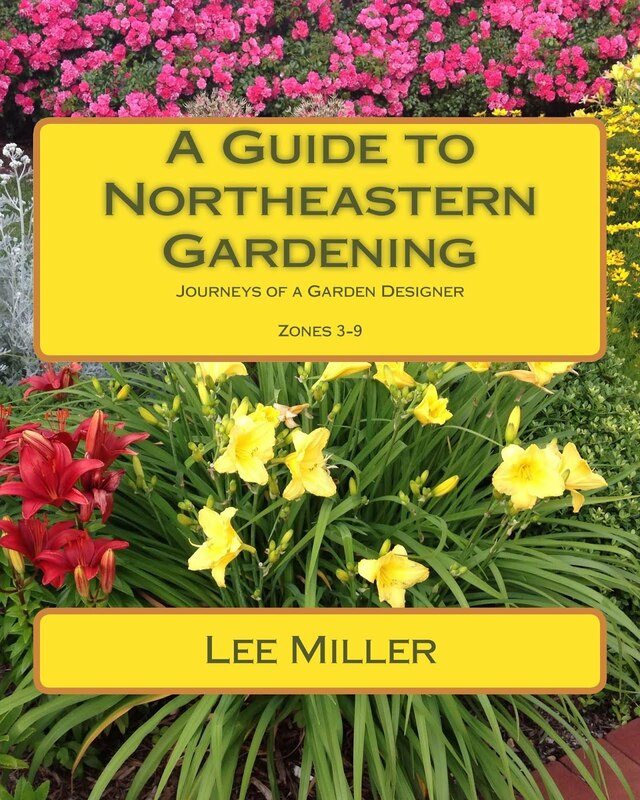 Most spirea can be pruned after flowering to keep their shape compact. 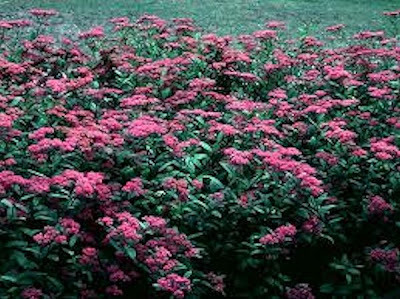 The bumald and Japanese spireas should be pruned in early spring (late March, early April) to promote the best flowering. 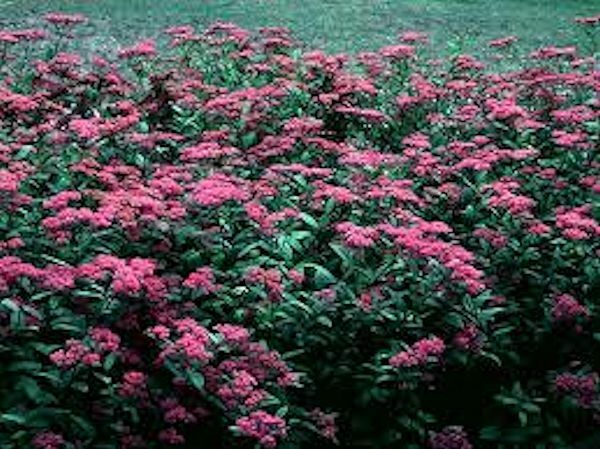 Spirea serve nicely in foundation plantings, perennial gardens, cottage gardens, woodland plantings, formal and informal settings. The smaller (bumalda and japonica) varieties look nice as a mass planting of odd numbers and the larger Vanhoutte variety can be planted either in mass as in a woodland setting or as a single specimen among evergreens or other flowering shrubs.When used along with a backdrop of evergreens or as a hedge they can give a more formal look or when planted with grasses and perennials can lend to a more informal appearance. 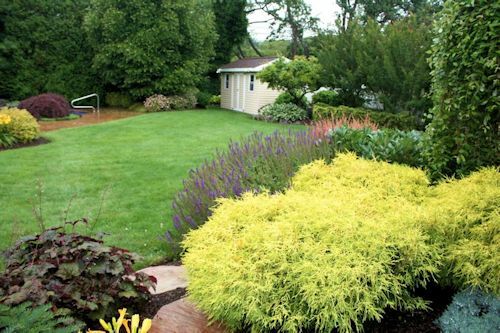 Being low maintenance, drought tolerant and even deer resistant, spirea can make an excellent addition to your garden. 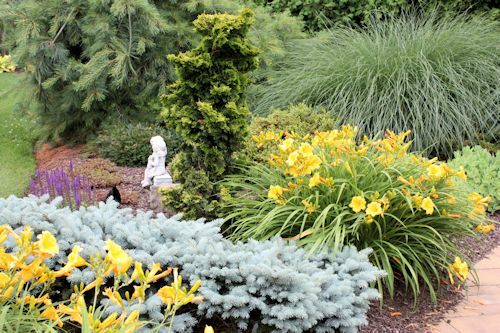 'Goldmound' and 'Limemound'also display interesting colorful foliage and put on quite a spring and fall show. As mentioned in the name, Spirea 'Goldflame' shows off orange-red new growth in spring and fiery-red foliage in fall. 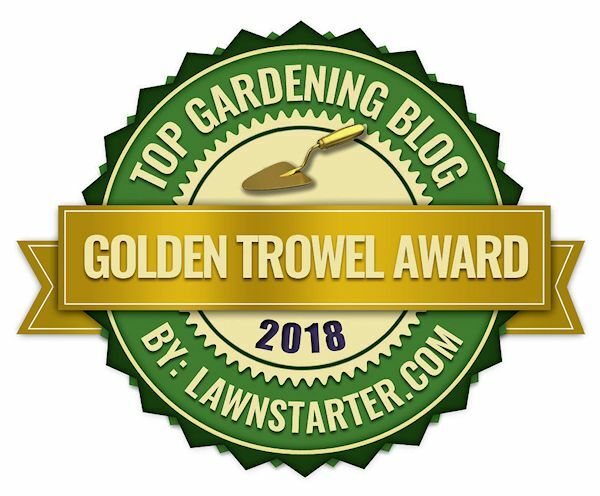 'Goldmound' and 'Limemound' look great in spring alongside blooms of perennials such as nepeta, salvia and ajuga. 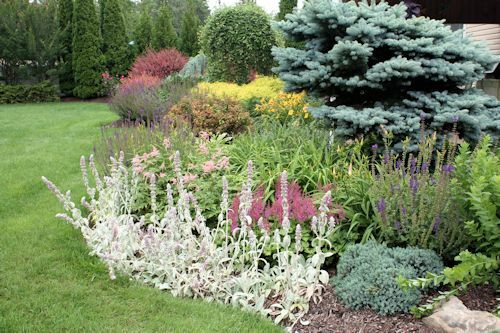 If you have a slightly shadier setting try Spirea 'Little Princess' along with hosta, liriope and heuchera (coral bells). 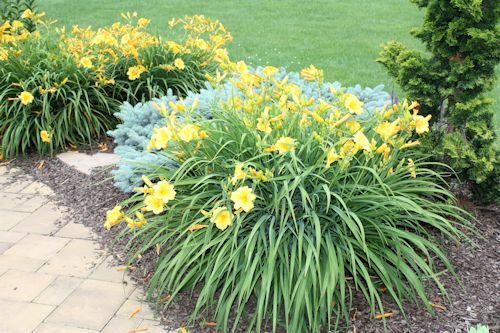 'Anthony Waterer' is a bit taller so try it along with some hemerocalis (daylily). 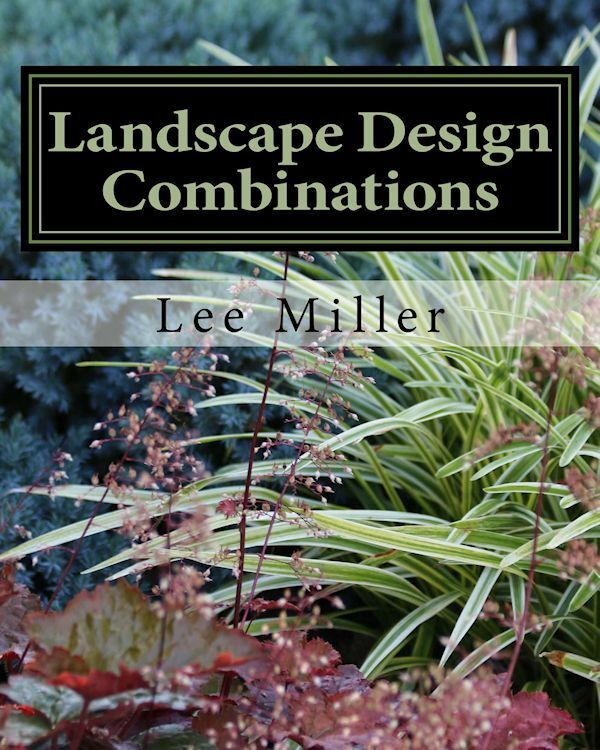 Now that you see just how versatile these wonderful shrubs can be give them a try in your landscape. They will give you years of enjoyment! 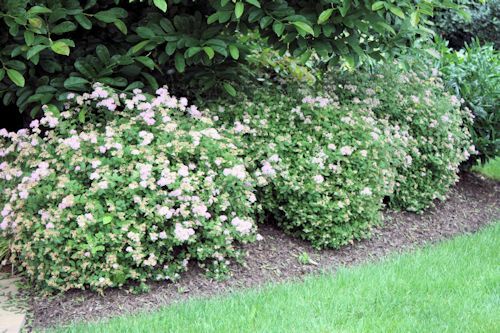 For more information on even newer varieties visit Feature Shrub: Spirea Double Play.